How The New Google Interface Has Changed SEO For Titles? 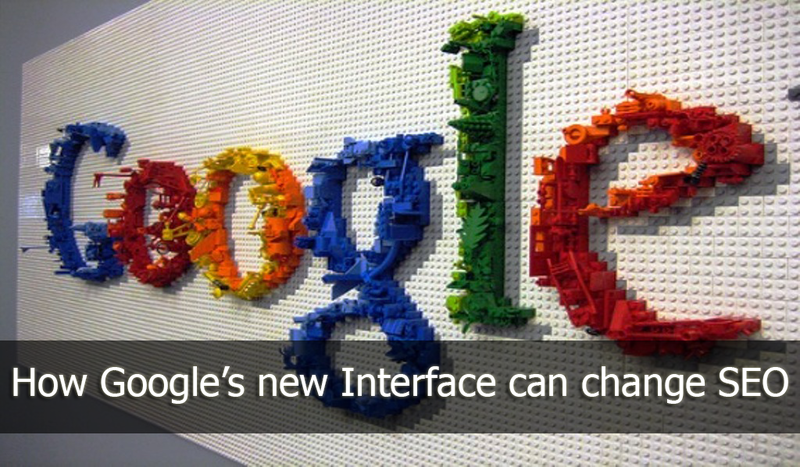 You might have noticed the recent changes in the Google Search Engine Result Pages user-interface. While being subtle and discreet, some of these changes could have a profound impact on SEO. The titles, for example, have had a bit of an overhaul, and are now more unpredictable than ever. The onset of these new development could change the way we do SEO. Here's how the SEO for title tags has changed. Generally, Google has increased the text size for titles in SERPs while keeping the same-sized div for showing results. This means that there's lesser room now, and a title that used to fit in search results before might not continue doing so. This means that the older guidelines for writing optimized titles might not apply, not all of them anyway. Google now uses an 18 pixel Ariel font on a 512 pixel wide div. Ariel, as some of you might know, is a proportionally spaced. This means that different characters have different widths. And since it is more about the width now as it is about character limit, various titles can have varying limits. Here are some factors to weigh in now. Since characters in Ariel take up varying space, characters like i's and l's are a lot more space-friendly than other characters like D's, M's, W's etc. A single M takes up more space than three lowercase l's, which means it's probably time to look for space-saving synonyms in your titles. The same goes for CAPS. Capital letters take up more space than lowercase ones, so it is better to avoid them. Frankly speaking, I don't see why you would want to use CAPS (unless for the name of a company or product). They are hard to read and 'noisy'. They don't look natural, so better avoid them in your titles. Google will highlight search query keywords by bolding them. Bolded characters take up more space, so a long query that matches with the title might possibly push it over. So, even if you found a title that just squeezed into the width limit, the actual display of that title would change depending on the keywords searchers use to find it. Google cuts off titles with CSS, appending a "..." at the end of a title to truncate it. This takes up valuable space too. So, a title that's just slightly too long and gets cut will actually be shorter than a title that barely squeaks in under the width limit, due to the additional space required by "...". However, it might be better for you to stay strictly under the limit than go overboard by a few characters. There might, however, be an advantage to getting your titles truncated. I might be way off, but having a "..." might give you slightly more clicks. Again, I am not sure, and would like your opinion in the comments section below. Due to the many factors that weigh in, a character limit can not be established as the truncation is done by CSS now. Some titles around 50 characters might get truncated, while some upto 60-62 might survive. According to a study by Moz, The ideal peak is at around 57.7 characters (57-58). This might be the maximum safe limit, but not a recommended one. The study further shows that only one in twenty titles of 55 characters will get truncated, whereas one in ten titles of 56 characters will get truncated. This ration rises to 1:5 for titles with 57 characters. Hence, in our opinion, 55 is an agreeable limit. What do you guys think? Leave your opinions in the comments section below.